Comments: Evergreen from Queensland and New South Wales, Australia. 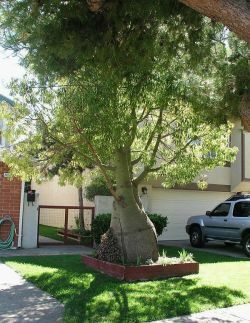 Tree grows to 30' and has a distinctive bottle shaped trunk and hard seed pod shell. With adequate water, this tree will grow in full sun and any soil.